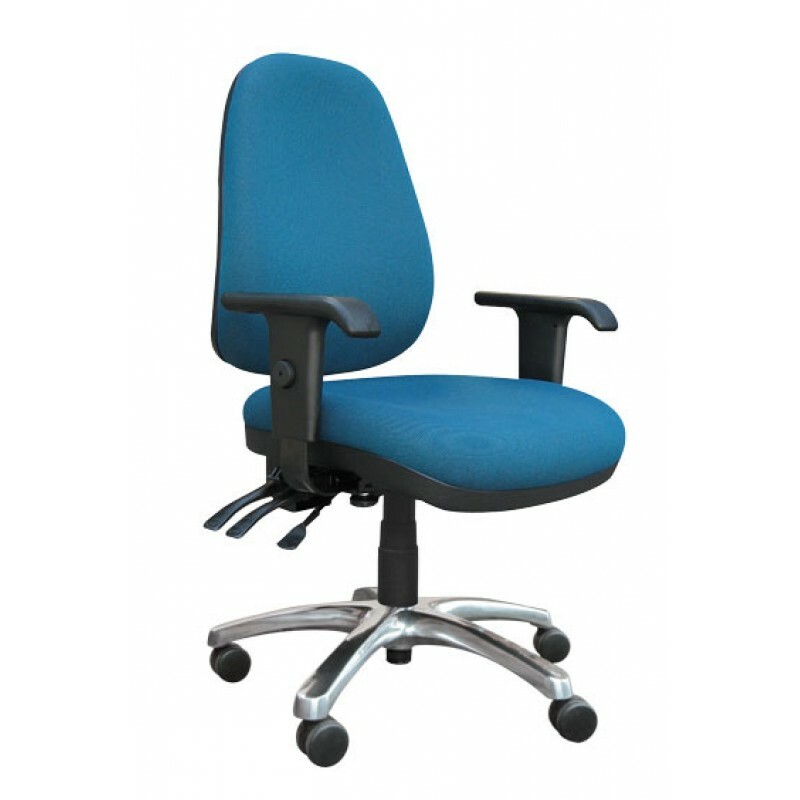 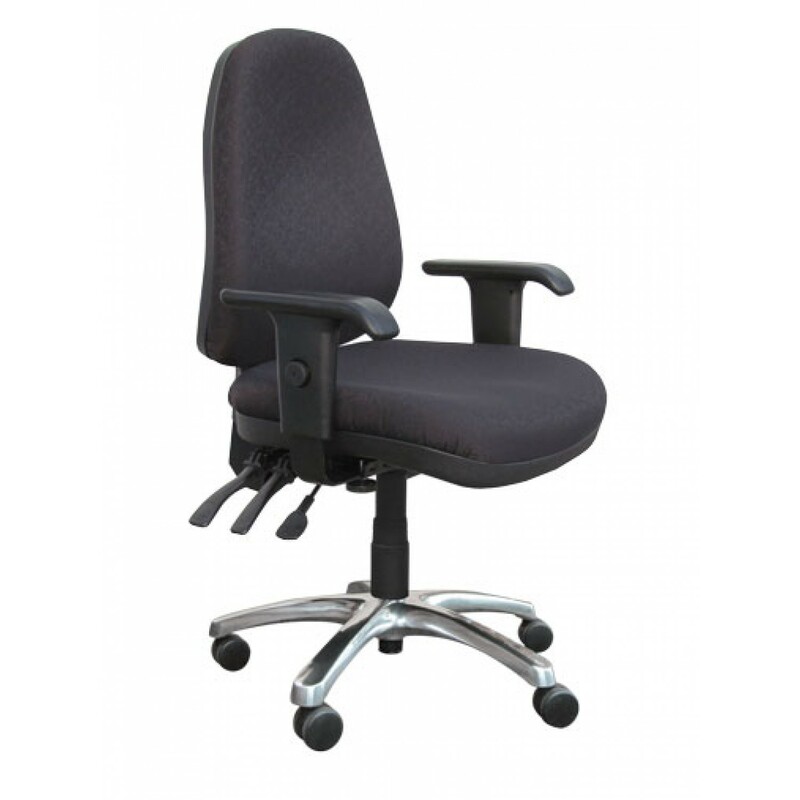 BIFMA approved durable, comfortable and high performance ergonomic office chair with a 5 star polished chrome base. 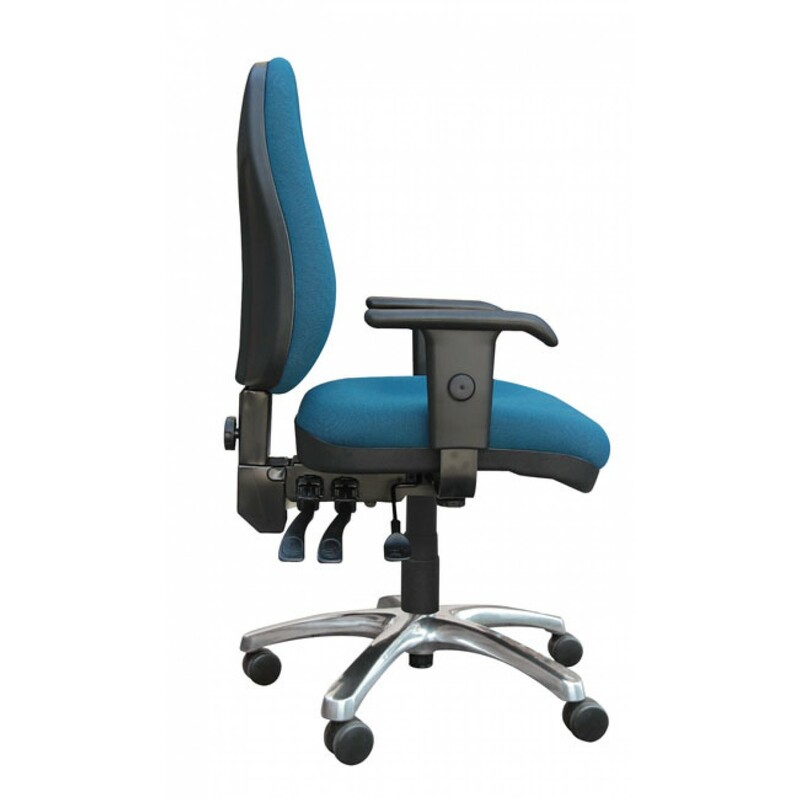 3 lever mechanism for independent height, back and tilt adjustments. 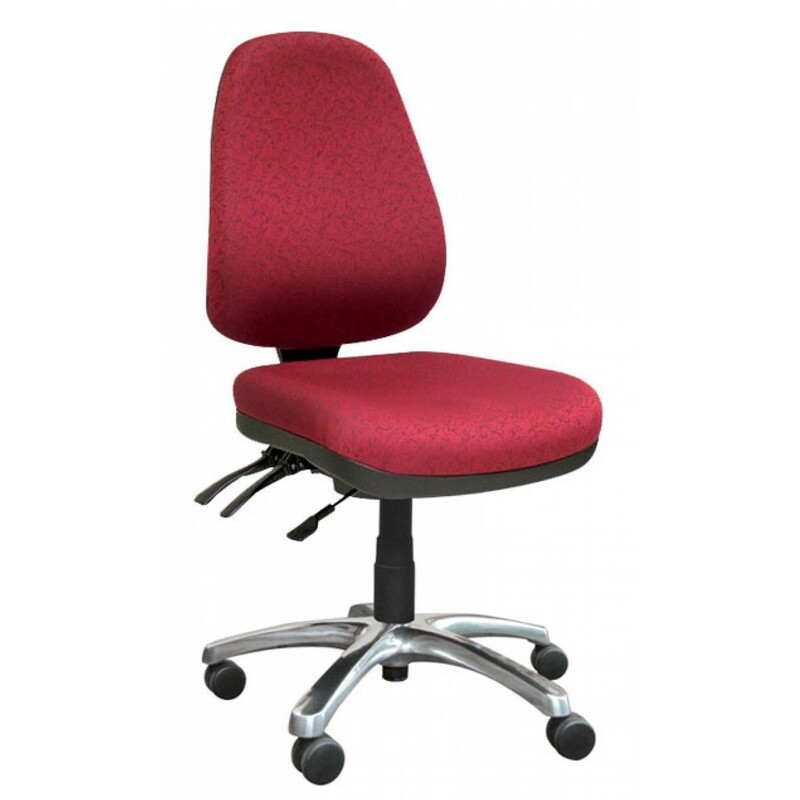 Available in Black, Blue and Burgundy fabric.